Here it is! The final block in our Block-of-the-Month feature. You'll remember that we showed two blocks in both July and August. 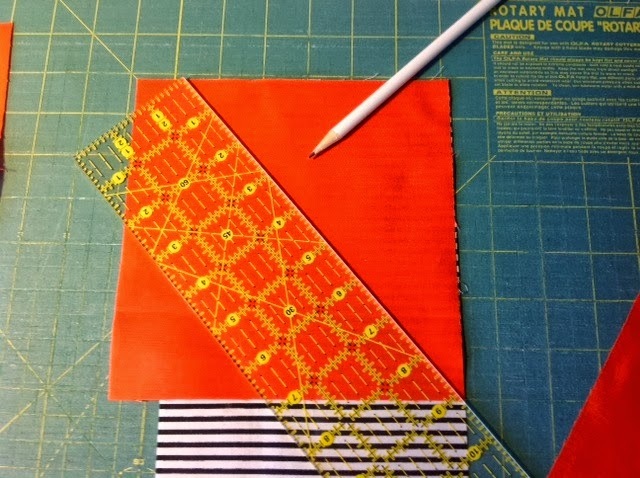 Join us next month as we put it all together and prepare for quilting. 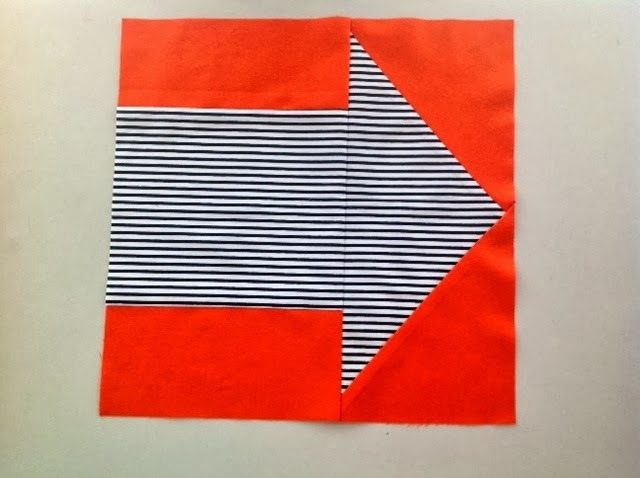 This Arrow Block is meant to be a tongue-in-cheek "…to be continued…" message at the end of our BOM quilt. I certainly hope there will be many more to follow! The inspiration and basic proportions came from Anita at Bloomin' Workshop. Her arrow was a 6-inch block, so I increased it to 12 inches. A1. Cut one 7" x 8"
A2. 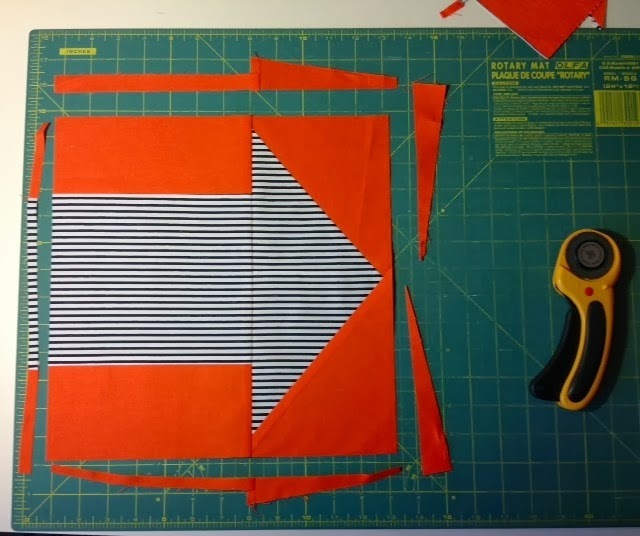 Cut one 6" x 13"
B1. Cut two 4" x 8"
B2. 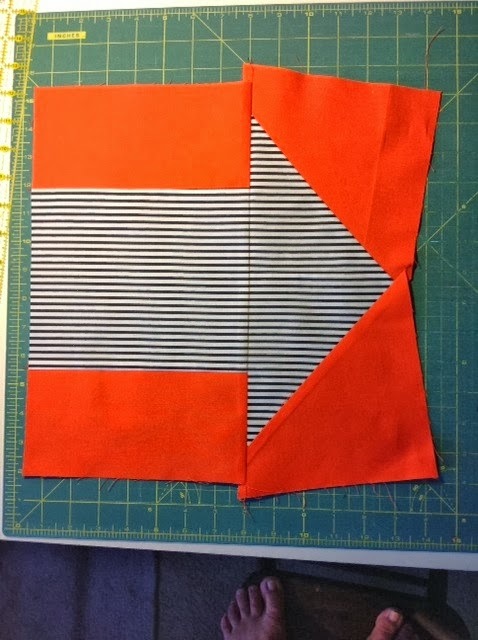 Cut two 7" x 7"
1. 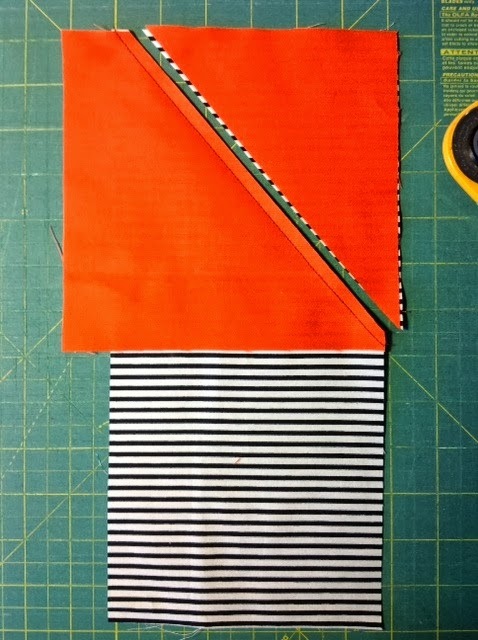 Sew together on the 8-inch sides, B1 on each side of A1. Press towards the darker color. 2. 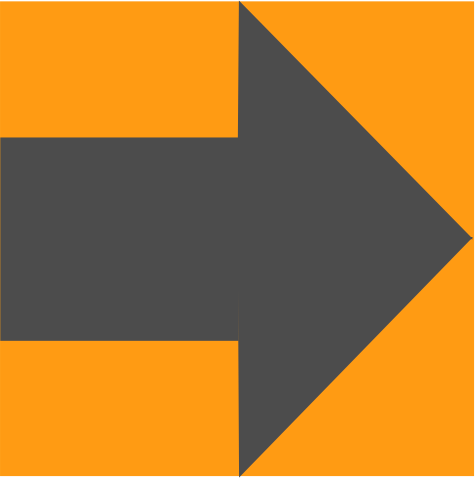 Place each B2 background piece with RIGHT sides facing on the A2 arrow head piece. 3. Line up corner to the right. The background piece will be about an inch longer on the left. 4. 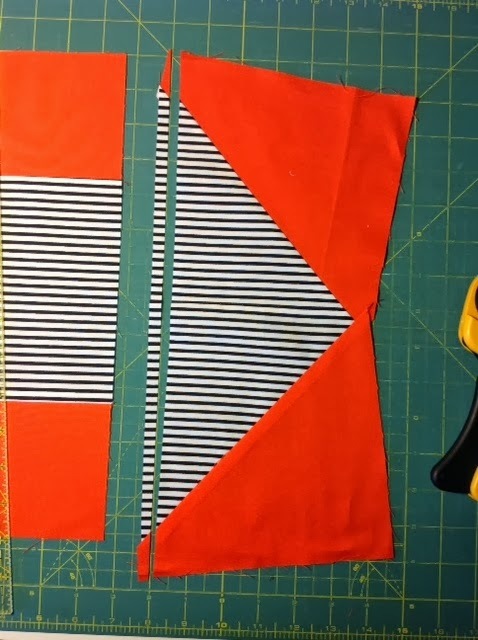 Trace a line from the upper left corner (where the two fabrics meet), to the lower right corner. Sew on traced line. 5. 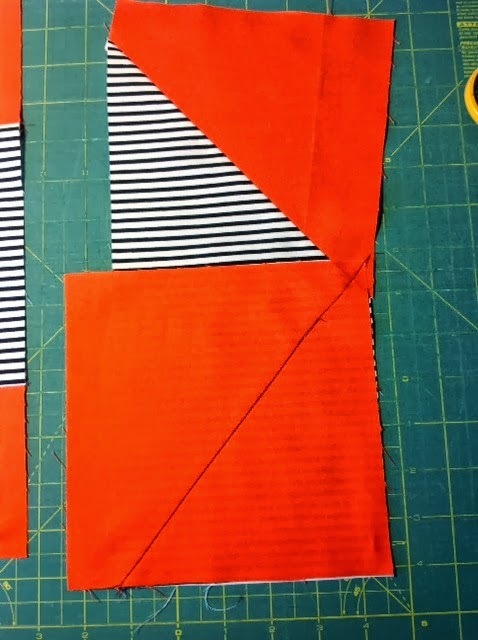 Trim 1/4-inch from stitching and press towards darker color. 6. Repeat steps 2-5 on the other side. 7. 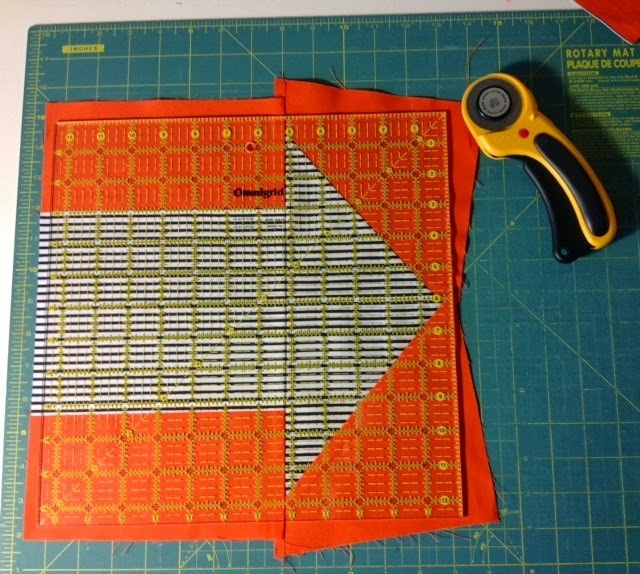 Trim the arrow head piece to get a straight line (about 1/4-inch). 8. Find and pin the center of both pieces. 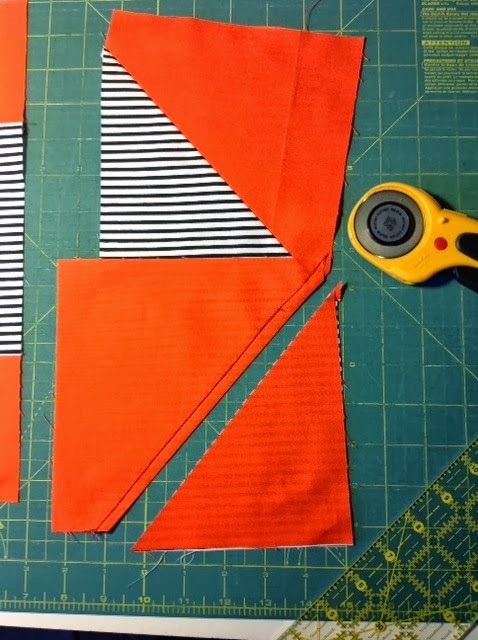 Sew together with a 1/4-inch seam. Press towards the stem of the arrow. 9. 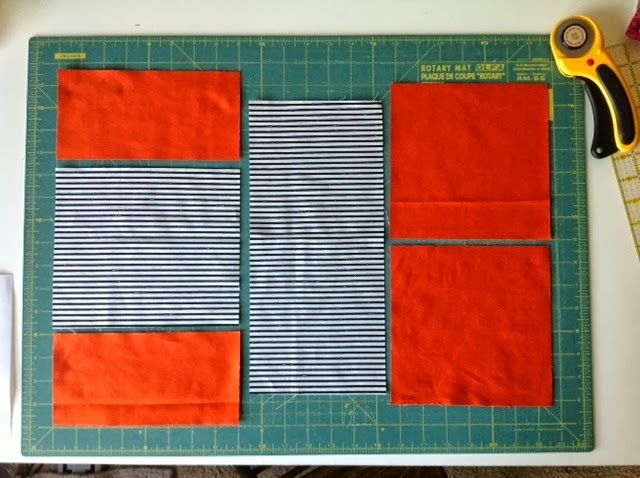 Place 12.5-inch square ruler over block (or use the grids on your cutting mat) and trim block to 12.5 inches square. Don't forget to show us your block on our Flickr page!